Blue is the prompt for today, and actually, I find it a difficult colour with which to work. Once I get going it isn’t too bad – as you can see from my current work in progress, but it’s the one colour that really causes me a lot of angst. 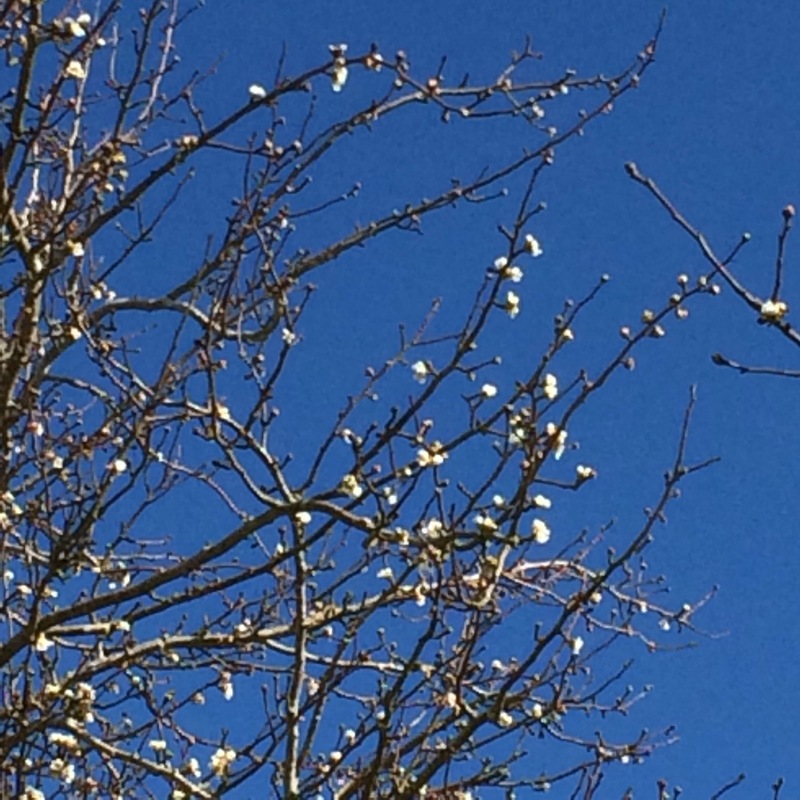 I thought I’d share this picture with you – pear blossom against the sky this morning. Stunning! Maybe I should interpret that in crochet? You know how much I love working from corner to corner. I’ve just started a new group on Ravelry – dedicated to C2Cs. Will you come and join me? You can find it here. Posted for National Crochet Month.